LA Ink was an irresistible slice of reality goodness during its run on TLC from 2007 to 2011. 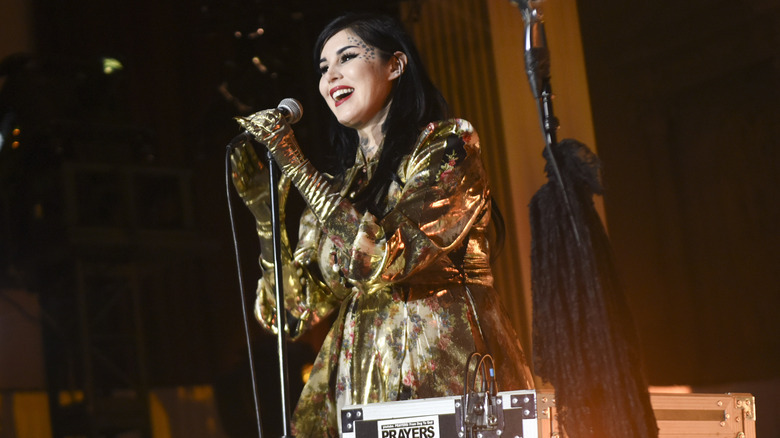 The personalities — especially star Kat Von D — were vibrant and prone to everything from juicy TV drama to surprising acts of tenderness. The locale was glamorous and multifaceted. The artistry at the heart of the show was impeccable and its setting, High Voltage Tattoo, remains a beacon of innovative ink. It was, in short, totally addictive. Many of the show's stars have used their LA Ink fame as a launching point to bigger and brighter things, from careers in the realms of fitness and illustration to lucrative cosmetic and fashion contracts. But there was quite a lot going on behind closed doors at High Voltage Tattoo and TLC, and even more that's happened since the series ended for good. Join us as we explore what didn't make it on screen — and why. Though reality television is often discussed as a thoroughly 21st-century invention, it's been with us for about as long as TV itself. Recall such midcentury favorites as Queen for a Day — we have always loved watching people's lives play out without (supposedly) the guise of fiction, and we are always clamoring for new ways to do so. Tattoo-centric shows, though, are genuinely new, and when they debuted with the release of Miami Ink, they caught on immediately. The combination of artistry, personal stories customers brought with them, and inter-shop drama from the staff proved tantalizing to a whole new world of TLC viewers when LA Ink debuted. As The Hollywood Reporter revealed in 2007, its premiere was "the most-watched series debut for the network since the January 2003 premiere of What Not to Wear," in addition to massively outstripping other series premieres of that season. Furthermore, LA Ink's premiere became TLC's highest-rated series premiere ever for adults between the ages of 18 and 34, perhaps one of the most coveted demographics in all of entertainment. There was no footing to be found, no learning curve for LA Ink to get the hang of. From the very beginning, it was a runaway hit. Artist Hannah Aitchison was an LA Ink mainstay for the first three seasons. Her intricately rendered, vintage-inspired pieces rank among the most impressive work ever featured on the show and distinguish her career to this day. Now the head of her own Pittsburgh-based studio Curiosity Shop, Aitchison's work continues to astonish and to be sought out by tattoo aficionados from around the world. Something that has always defined Aitchison is her eclecticism — Curiosity Shop itself is an excellent example of this, as a studio, vintage shop, gallery, and more — but it goes far beyond her business and artistry. In a TLC Q&A, Aitchison revealed that she's "quite the accomplished knitter," and "a classically-trained singer who studied opera for two years." Her musicianship started early, she recounts, as her mother was a flautist who instilled a love of song in her daughter. Her tastes remain varied and well-rounded, ranging from Sigur Ros to Billie Holiday. One thing's for certain: Aitchison keeps her life multifaceted, and that keeps it interesting. Kim Saigh's gorgeous work as one of LA Ink's featured artists never failed to impress. To no one's surprise, she remains impeccable in her current position as part of LA's Memoir Tattoo — a quick scroll-through of her portfolio dazzles even the most hardened fan of ink. With nothing but a tattoo gun and ink, Saigh brings entire gardens to life in people's skin, sends packs of cards tumbling alongside the denizens of Wonderland down their arms, and sprawls vibrant, keen-eyed tigers across the expansive canvas of her customers' backs. No one can look through her work and not be struck by its detail and skill. It follows, then, that Saigh's art extends beyond the body. Saigh is, in fact, a traditional artist in her own right, to the point that her paintings take up as much real estate on her personal website as her tattoos. Unconstrained by the limits of skin, Saigh's visuals border on the kaleidoscopic in their detail and depth. This isn't just a passion, however — the Memoir Tattoo site reveals that she's worked on everything from ad campaigns to concert posters. From living tissue to digital canvas, Saigh is a master of visuals. LA Ink is virtually synonymous with Kat Von D, star and entrepreneur whose career has spiraled into a dozen other industries since the show's success. From her high-end makeup line to her occasional collaboration with alternative bands, she's a multifaceted woman with a lot to say. Much of it recently relates to her new experiences as a mother — and it's causing no small amount of controversy. As People Magazine reported in 2018, then-pregnant Von D announced her plans to raise her child vegan and to avoid vaccination. Her son, Leafar Von Drachenberg Reyes, was born November 29th, reportedly (according to Von D's wishes) in a "natural, drug-free home birth in water with a midwife and doula." Criticism arose to the point that Von D took to her Instagram to tell people to "press the unfollow button" if they were displeased. One thing is certain: she's got opinions and she's going to let the world know what they are. Though the colorful personalities that filled High Voltage Tattoo were always the stars of the show, the space itself was featured in every single episode and became something of a character in its own right. Unfortunately, an electrical fire in October 2015 seriously damaged the shop — but also provided an opportunity for a dramatic remodel. As LA Weekly reported, High Voltage Tattoo is now a temple devoted to the artform as much as it is a place of business, a gallery of art that inspires the artists who work within, and a tribute to the many disparate influences that have driven Kat Von D's career. "Most of the stuff on the walls is from my own personal collections," Von D explained, showing off everything from skateboards to a chandelier comprised of many small, glass figures of Jesus Christ. Elaborate molding and deep crimson walls create a space considerably more posh than the average tattoo parlor, and Von D's got no problem with that. "It's important to stay humble and remember where you came from," she mused, but when when it comes to the success and visibility LA Ink gave her that ultimately enabled the shop's total remodel, "I'm appreciative of the platform it gave me to do all of these awesome things." Like most tattoo parlors of upstanding reputation, High Voltage Tattoo does not ink anyone under 18. This isn't just the law, it's good sense — imagine the bad decisions you made as an adolescent, then imagine them etched permanently into your skin. Though some might believe they could persuade High Voltage's artists into bending the rules, their website is totally without ambiguity: "There are no exceptions to this." Ironically, many of LA Ink's stars and High Voltage's most sought-after artists began their journeys in the world of body modification well under the age of 18. "I'm pretty sure my tattoo career began the day I received my first tattoo at the age of 16," Kim Saigh once recounted. Artist Corey Miller began tattooing at 15. Kat Von D herself got her first tattoo at 14, then quit school at 16 to become a professional tattoo artist. The artists of LA Ink and High Voltage Tattoo aren't hypocrites for this discrepancy — who among us stands by every decision we've ever made, let alone as an example for everyone? — but it is interesting to see just how many of them got their start before they were supposed to. It just goes to show: you can take the outlaw artform out of the back alley and into Hollywood, but you can't take the back alley out of the outlaw art form. For all its earnest celebration of tattoos, the culture around them, and the businesses that bring them to the people, LA Ink was, above all, a reality show — and there is no reality show immune to the dramatic machinations of its producers. Enter Aubry Fisher. 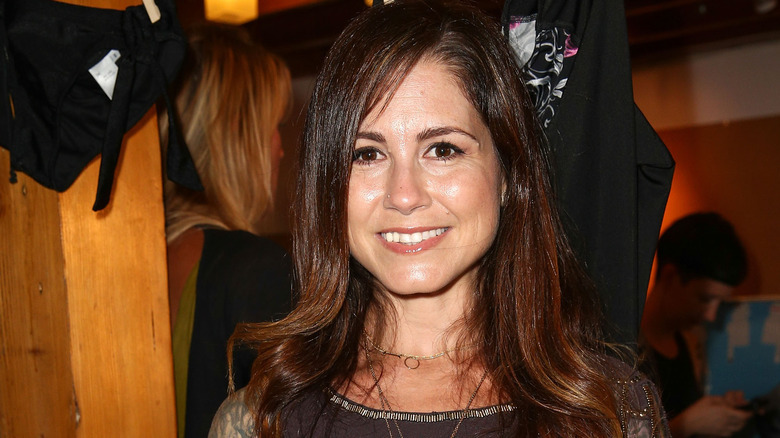 Originally a contestant on VH1's own reality show Rock of Love with Bret Michaels, Fisher joined LA Ink in its third season. By the end of that season, she was gone, after more than a little antagonism and villainy that struck many viewers as forced. They weren't wrong. As Monterey County Weekly found in an interview, LA Ink was one of a few choices she had as her Rock of Love off-ramp and the show had her cast as a destabilizing force in press releases Fisher wasn't even aware of. So goes reality television — and so went Aubry Fisher's brief, dramatic time as a member of the LA Ink crew. The end of any long-running television tends to be messy, with many factors in play and quite a lot of he-said/she-said-style commentary. When it comes to reality television, this controversy runs to a fever pitch, and LA Ink was no exception. The statement released by TLC is typically dry network fare. "TLC has decided that the current season of LA Ink will be its last," they said in 2011. "The network is proud of what the series has accomplished in its four seasons, following Kat Von D's journey as an artist from Miami to Los Angeles." Nothing out of the ordinary or untoward there, just a show reaching a natural end and making room for new programming. Right? 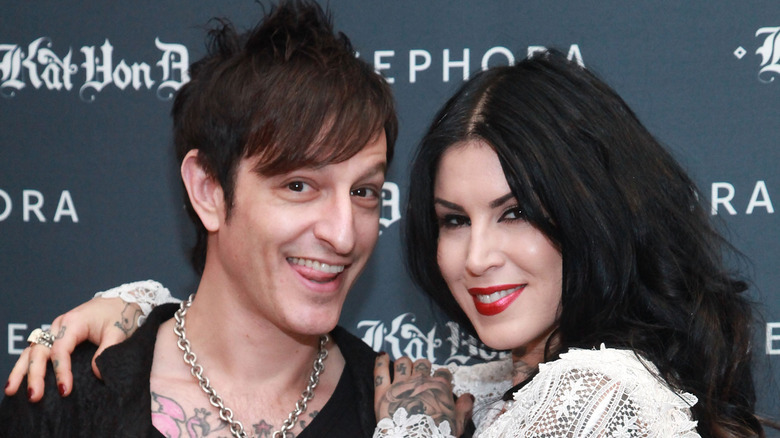 Wrong, according to Kat Von D. "In an effort to capitalize on my recent breakup, the network has decided to focus their energy on re-editing events that didn't happen while filming," Von D told People Magazine. "I have no regrets and am very proud of the original footage. In my opinion, any attempt to compromise the honesty of that would be an insult to my fans and viewers." Where the truth lies is anyone's guess, but regardless, LA Ink remains over and done with. One of LA Ink's most momentous episodes came when Kat Von D broke the record for most tattoos given in 24 hours: a mindblowing 400, all of the "LA" portion of the LA Ink logo. Watching Von D and the crew scramble to get ready for such a massive undertaking made for some truly great television, plus some lasting memories for those who participated and have the ink to prove it. It remains one of the most talked-about aspects of the show years after its end, and a remarkable feat of tattoo artistry in and of itself. It has, however, been broken in the years since the episode was shot. Hollis Cantrell of Artistic Tattoo in Phoenix, AZ, currently holds the record. Cantrell didn't just outpace Von D — he blazed by her to arrive at a mindboggling 801 tattoos, the last one made on his own thigh. Similarly to Von D's choice of a simple, stylized "LA," Cantrell's record-breaking tattoo choice was a two-tone AZ, now inscribed forever in the skin of 801 proud Arizonans. Though Von D's record no longer stands, the tattoos made for it do — as do the stories of those who participated. Not everyone stays in the world of tattooing. 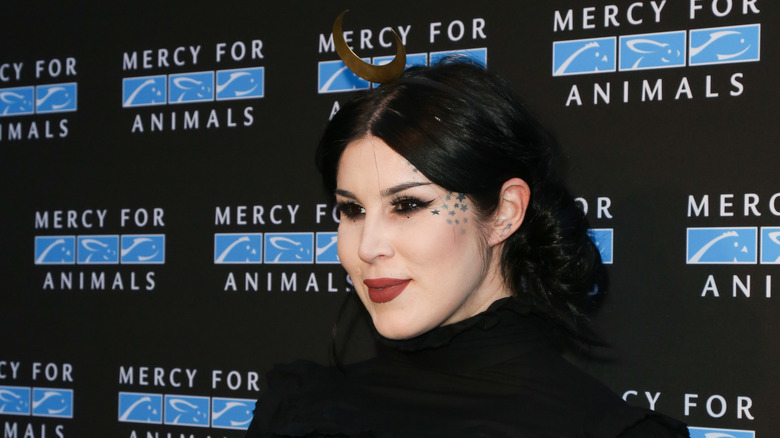 Kat Von D herself is a great example — though tattoo art is still very much part of her brand and her look, she's also a force in the world of cosmetics and fashion. As established, more than a few of the other stars of LA Ink also have passions and stakes in other forms of artistry, recreation, and entertainment. Reality television does, after all, open doors to many other places — just look at Aubry Fisher and her jump from VH1 to TLC. Few, however, establish themselves so firmly outside the world that made them famous as Pixie Acia. An LA Ink mainstay and former High Voltage Tattoo manager, Acia has swerved dramatically into the world of fitness. A glance at her website reveals how entirely her focus has changed. Her bio describes her as "LA's Hottest Trainer, SoulCycle Senior Instructor, Life Coach, Triathlete, Ducati riding moto-babe. Surfer, snowboarder, mountain climbing yogi. Philanthropy enthusiast, owner of pooches, rescue advocate." What's missing from that description? Anything related to tattooing. It just goes to show that we all contain multitudes — and that it's never too late to explore something new.